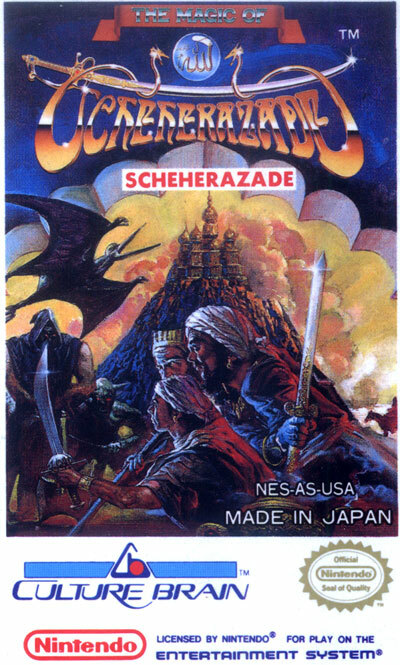 The evil wizard Sabaron summoned a horde of demons to invade Arabia. One brave magician tried to fight Sabaron, but was trapped in the holes of time. This magician is you. Traveling through different time periods, you'll have to stop Sabaron's evil plans and to rescue the beautiful princess Scheherazade he kidnapped. "Magic of Scheherazade" is a mixture of action- and turn-based combat RPG styles. Wandering through Arabia, you'll encounter enemies whom you'll fight in real time, using various weapons. You'll also be attacked by enemies with whom you'll engage in strategic, party-vs.-party combat. You can choose from three character classes: Fighter, Saint, and Magician. Each class has its own special abilities that you'll use in battles as well as during your exploration of the game world.